The phrase immediately struck me. Each word has the letter O twice. In the first word, they’re separated by one letter, in the second by two letters, and in the third by three. That felt noteworthy to me. Only 51 Years To Go! Word nerd alert: yesterday it dawned on me that I’ll probably still be alive in 2066, when the world will mark the 1000th anniversary of the Norman invasion of England, which began the transition from Old English to Middle English. It’s a big date in language history, and I’m genuinely excited to help celebrate it. I’ll only be 89 (and my daughter will have become president just 14 years before). I’ll commit now to reading Chaucer’s Canterbury Tales that year, in his original Middle English. Who else is in? Recently, some pioneering work in neuroscience has begun to suggest what English teachers have long known: that the power of literature is the power of alterity, creating the possibility of encountering the other in a form not easily recuperable, not easily assimilable to the self. “Imaginative sympathy,” we used to call it. To read literature well is to be challenged, and to emerge changed. I recently saw this posting online. Even though the Mandarin Chinese word “shi” is used below with four different tones of pronunciation, the same tone can still have multiple meanings. 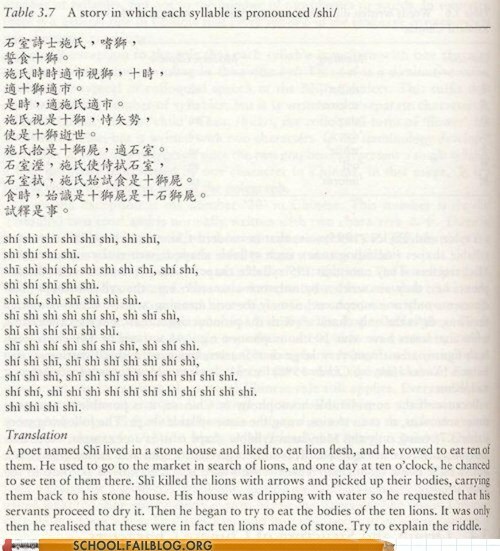 Obviously, then, very common syllables in Chinese, like “shi,” can have tons of homonyms. Thus, this. I regret to say that the only words I clearly recognize here are the ones for “ten” and the “to be” verbs. 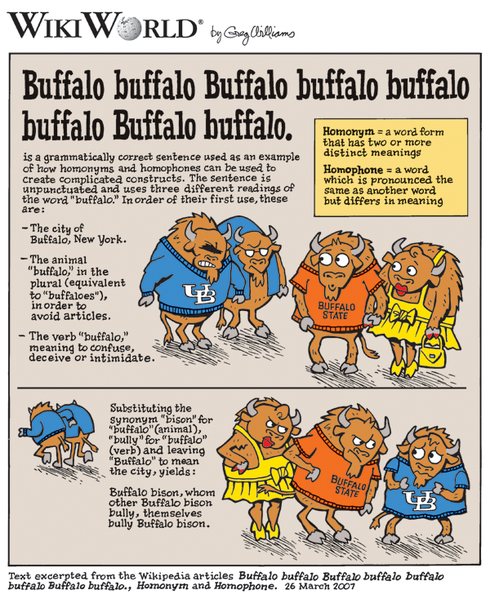 This reminds me of a similar trick in English: the “Buffalo buffalo Buffalo buffalo buffalo buffalo Buffalo buffalo” trope. Actually a perfectly valid sentence, it can be phrased as “THE buffalo FROM Buffalo WHO ARE buffaloED BY buffalo FROM Buffalo, buffalo (verb) OTHER buffalo FROM Buffalo.” The linked Wikipedia article also includes some other wacky semantic shenanigans. Ever since I started blogging, I’ve wanted to do some kind of podcasting: I’ve always been told I have a pretty good voice, and I try to have an energetic, engaging classroom presence. Therefore, I thought I’d post some audio of me at work, to see if anyone else out there might like it or find it useful. Yesterday, just in time to start the Halloween season, I posted a 23-minute piece on YouTube of me performing and giving my teacherly commentary on Edgar Allan Poe’s story, “The Masque of the Red Death.” I’ll put it up on TeacherTube also, so more classrooms might be able to use it. And, of course, the world finally has a chance to hear just what the magic is like in Huston’s class! 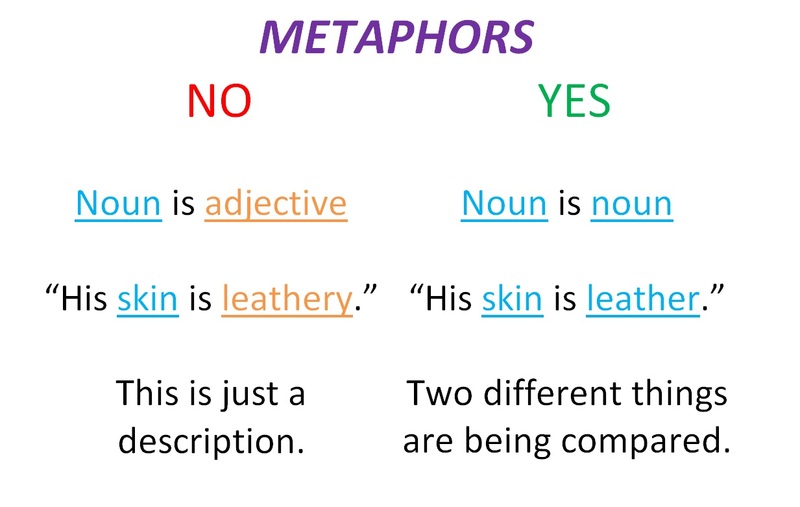 It’s been a long time since I’ve listened to an entire series of recorded lectures, but last week I picked up Michael Drout’s A Way With Words III: Understanding Grammar at the library, and I was immediately enraptured. I haven’t listened to anything else since, burning straight through the seven discs during my drive times this week, absorbing the whole eight hour extravaganza. Drout is one of the most personable speakers I’ve ever heard lecture; his humor, pop references, voices, and casual approach were always perfect: he could have been sitting right next to me. The lectures were substantive, too. Not only does he review the basics, with some twists, but he clearly explained some things that I’ve seen other teachers clumsily belabor. One aspect of my interest in language is names. Tonight, as I drove home from work, I saw a restaurant sign that included the name Mario, and it hit me for the first time: this name seems to do the opposite of what I usually notice names do. Notice that most of these examples are from men in the Bible. This is important. As those names are very old and very influential in Western cultures, it’s natural that female versions would evolve. Mario, however, seems to have gone the other way: if Mari-o and Mari-a are related, the older name is Maria, which in English is Mary. It makes sense that if names get adapted across genders because of age and cultural influence, especially Biblical names, then the name of the ultimate woman in the Bible would naturally produce a male version. This is all just speculation, though–I’m not a linguist. But I’d like to look into this to see if I’m right. As often as students commit the typical errors of writing—the fragments, the missing punctuation, the misspellings—there is one very specific mistake that I see dozens of times every year that nobody else seems to have mentioned: it’s using the word “defiantly” in the wrong place. The last example makes it sound as if not only will this young person be reading more books in the future, but will be doing so with a stoic, stubborn rebelliousness, directly in the face of antagonistic opposition. “You dare to chain me down and hold back my reading habits? I will rise up and overthrow your anti-literate regime!” You go, girl! Obviously, what these students meant to write is “definitely.” But how did the one word become the other? And how the heck are dozens—hundreds—of kids making the same weird mistake? I mean, it’s not like this is a simple typo; no single slip of a finger could do this. The words differ in multiple places, and the pronunciations are hardly similar at all. My theory is that there must be some common misspelling of “definitely” that Microsoft Word changes to “defiantly.” I tried typing all the incorrect versions of “definitely” that I could think of, but Microsoft didn’t want me to turn any of them into “defiantly,” so maybe I’m wrong. For their part, most of the students don’t seem to understand the mistake, much less are they able to explain it, but it sure makes for some funny reading for me!